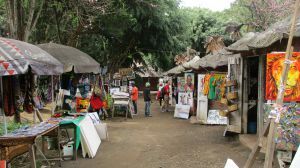 The themi falls leisure park is a restaurant, mini botanical garden and hub for tourist activities in or near the Olgilai village of Arusha - Tanzania. It has one large compound in which are several beautiful gardens, two large parking spaces and a restaurant with both roofed and outdoor sitting areas in the garden and on a terrace. Next to this compound is the Themi river valley - a riparian zone in which lie several hiking trails, a forest reserve, celery farms and the Themi waterfalls. 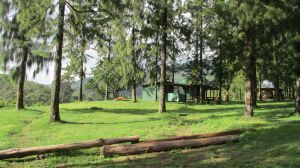 The leisure park conducts several tourist activities in or near the village, including hiking, cultural walks, picnics, camping and many more. Future expansion plans for the park include addition of a swimming pool, as well as accommodation rooms. What to do there?The most interesting activities there are hiking and sightseeing, mostly to many neighbouring attractions, such as the themi water falls. 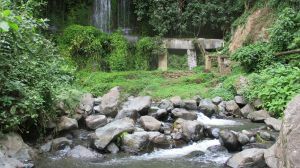 Here you have a choice of just exploring the beauty of the falls, the celery farms or having a picnic (for an extra fee); However, swimming in the river is not allowed as its waters are used by many people downhill. 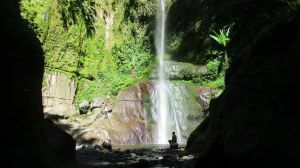 Other than that, you could hike to the top of one of the neighbouring hills, Narengoro (east), Ol' Doinyo Sapuk (west) and Kivesi (south); Or better yet, hike to a much larger waterfall about 30 minutes from the current one. If you all the activities have left you exhausted, then the place does also provide camping facilities at a cost of about TSHS 10,000 for Tanzanian citizens and 10 USD for foreigners. To fully complete each and every one of these activities you would probably need a full day, so remember to pre order food from the restaurant onsite if you feel that you may get hungry during the day. They also do cater for allergies or any special preferences that you may have. 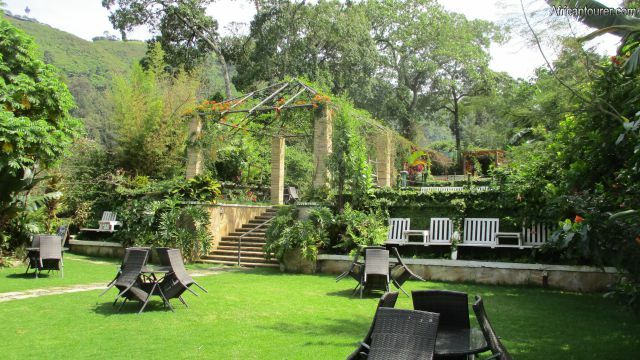 The leisure park's gardens can also be used for events such as parties and celebrations, with the option of renting one garden (TSHS 400,000) or the whole place (TSHS 2000,000) for the whole day. From what we've seen, this would be an ideal location for a wedding, big or small as the falls, the park and surroundings do provide perfect photo opportunities, for a once in a lifetime memory. Although these services are available at all times, it generally is better to pre book some of the services as it may help enhance the whole experience, as well as ensure that you are well catered for regardless of how many people are present on that same day. For more tariffs please see the last image in the slideshow above. Best time to visitAny time of the year, although it may be slightly less enjoyable in the rainy season (march to june). 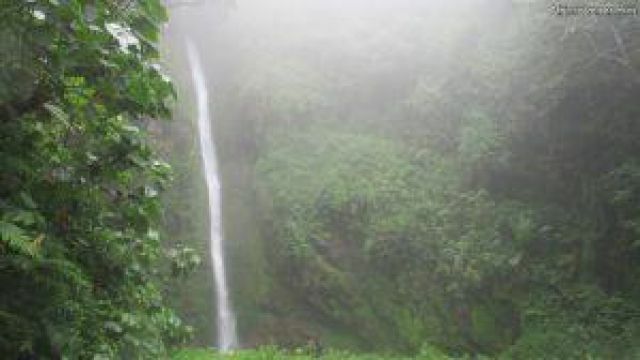 Themi falls leisure park is located in the rural - northern suburbs of the city of Arusha - Tanzania. 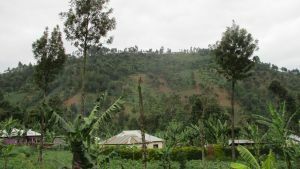 It also is located on the slopes of mount Meru, in the riparian zone of the Themi river - near its source and right next to the Olgilai village. For more information on its location, please see the map below (click to start). How to get there?The best way to get there would be through the Arusha - Moshi highway, with a turning point located opposite the mount Meru hotel entrance gate (a little east of it). This is the same road that takes you to the Arusha district council offices. Past that and up a steep hill using a dirt road, is Themi falls leisure park. There is only one T junction on the dirt road there, take a left. The dirt roads there are well maintained, the kind that can be used throughout the year, with some caution during the rainy seasons. One thing to note is that the road to the place involves several steep hills, so if you are headed there using personal transport then it is important to make sure that your car is in good condition. There are minibuses that go part of the way there, but for the sake of simplicity, we recommend taking a taxi from the main road if you do not have your own transport. Alternatively, the park does provide transport to and from the place for larger groups of people. Are you associated with Themi Falls Leisure Park ? Contact us to improve this page or create another page for your business.